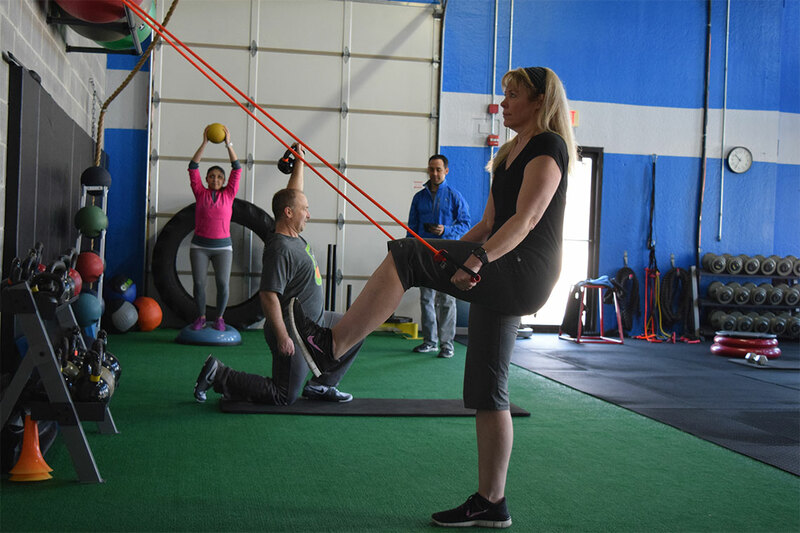 Personal training is what we live for at Human Performance. 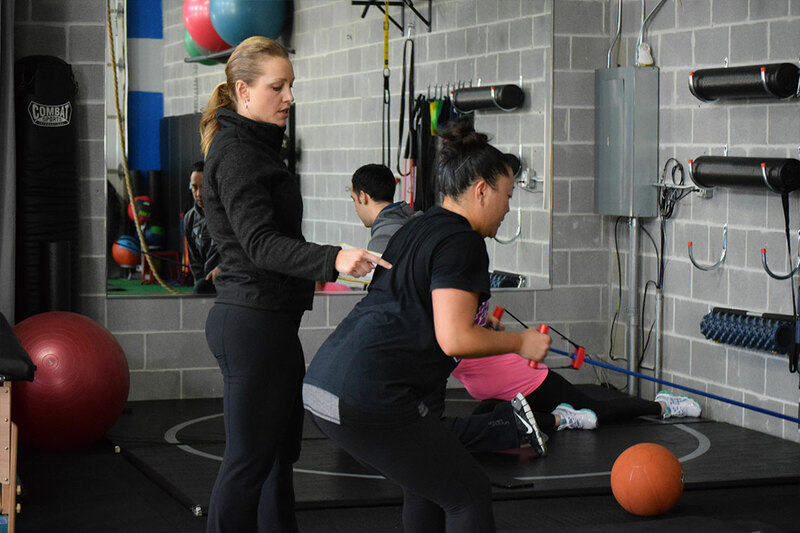 By providing the coaching, motivation, and accountability to help each member reach their highest goal, we are able to find real successes with every session in every member. 60-minute, one-on-one coaching sessions with your personal trainer in our studio. Consistent monitoring by your trainer to see if you are on track to achieve your goals. Mind-body assessment which analyzes 74 different joint motions within the neuromuscular system so we can work to improve stability and restore function. 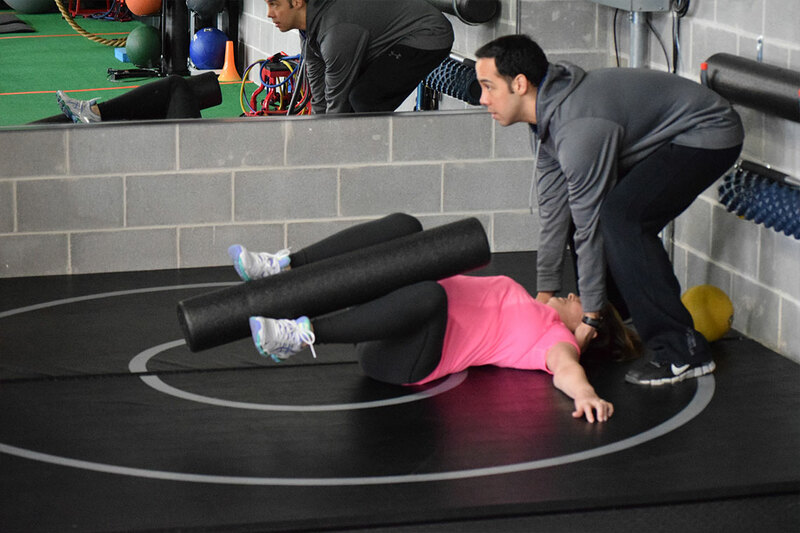 A corrective exercise program focused on improving balance, enhancing postural control and joint stabilization. Your own personal Complete Functional Training System Program, customized just for your body and your goals. A tailored Nutrition Protocol to determine the health of your diet. Nutritional guides: sample meal templates, what to eat, meal composition, pre and post workout nutrition, supplements, tips for success, and a healthy lifestyle guide. A fitness and health schedule made by you and guided by your trainer to keep you motivated. Access to this fitness trainer website & blog for new fitness tips and tricks. 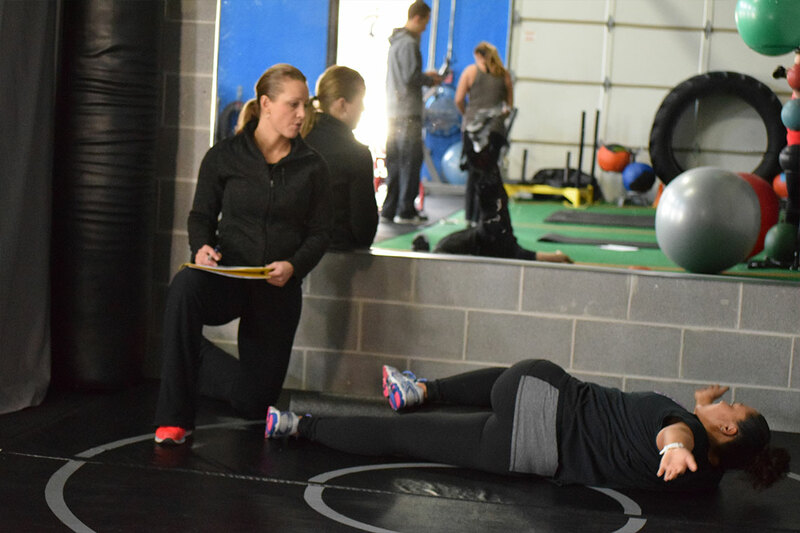 All of our programs are designed to be spread out over a four month period in order to maximize the effects while minimizing risk of injury. 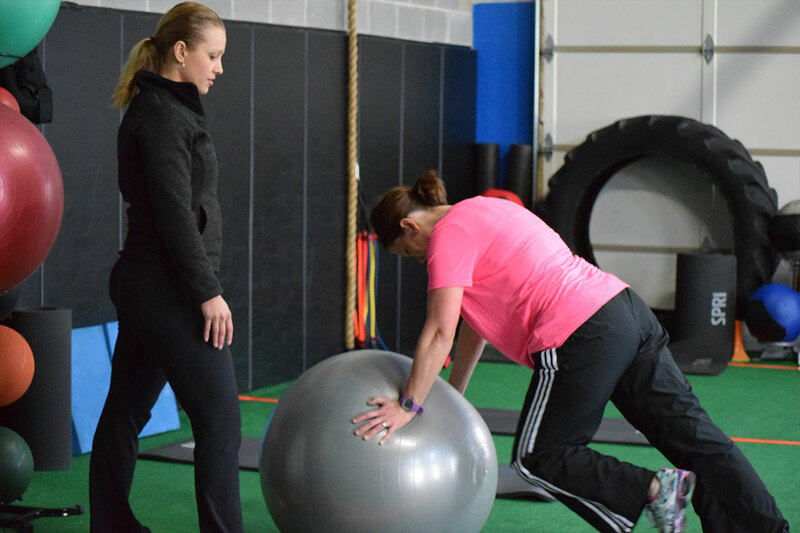 An affordable solution to your desire to have a personal trainer, our semi-private training is still targeted toward your goals and working to help you constantly improve, taking your training to the next level at half the cost of one-on-one training. We recommend this solution to members that can benefit from targeted programming that is designed to meet their personal needs. 60 minutes with your personal trainer a small group setting (1 trainer, 2-3 people). Education and experience to set goals that are specific, measurable, attainable, and time sensitive, so you can stay on track. Your own, accelerated, Functional Training System, so you can enter the system through the first program which is the Functional Conditioning Program, giving you 2-3 different workouts per 3 week progression. 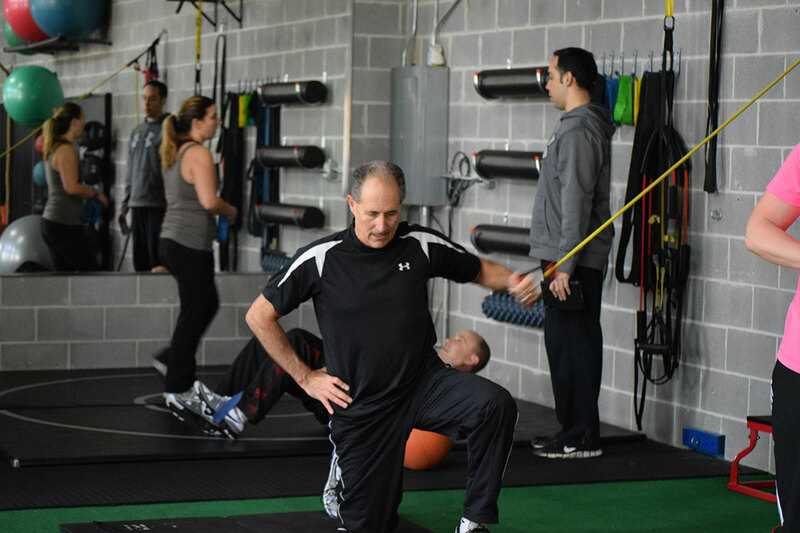 Programs that focus on strength training, flexibility, cardio conditioning, plyometric, and challenging exercise environments. Writing and journaling along with a workout folder to use as a tool to document your journey at Human Performance. Monthly body measurements and body fat testing, Heart Rate Monitored goal checks, weigh-ins, and pictures. A Nutrition plan that provides nutrition guidance and accountability through journaling. A personal trainer who checks in on these journals, making sure you are staying on track. Breakfast, lunch and dinner meal suggestions, what food you must eat, what foods you should never eat, what supplements can help you with sustained energy and recovery, and suggestion on eating well when traveling. Now you can get all of the benefit of working with a coach at a price that you will love. Contact us today to find out more and sign up for your class now!